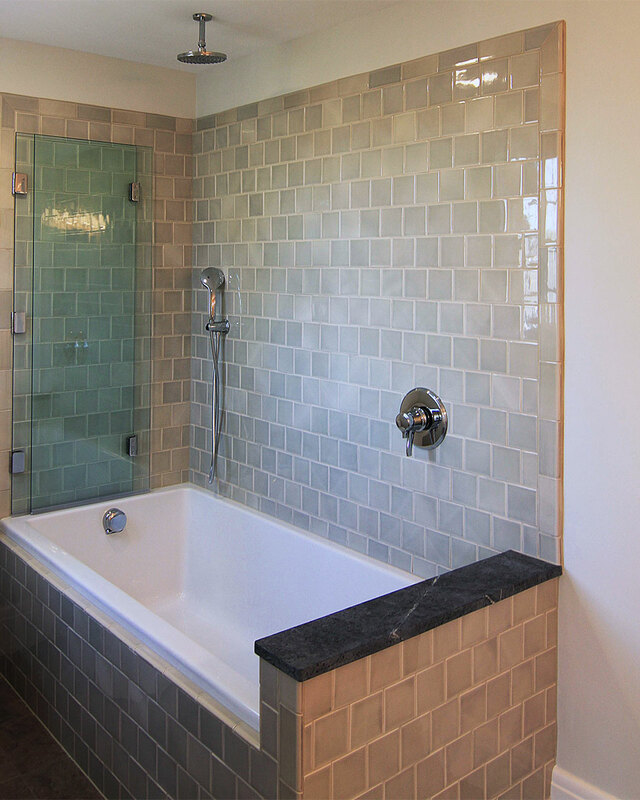 HIS & HER BATHROOMS — TRIPLE AUGHT DESIGN + BUILD. These two bathroom renovations are located on the second floor of a four story 1930’s colonial residence in downtown Chapel Hill, NC. 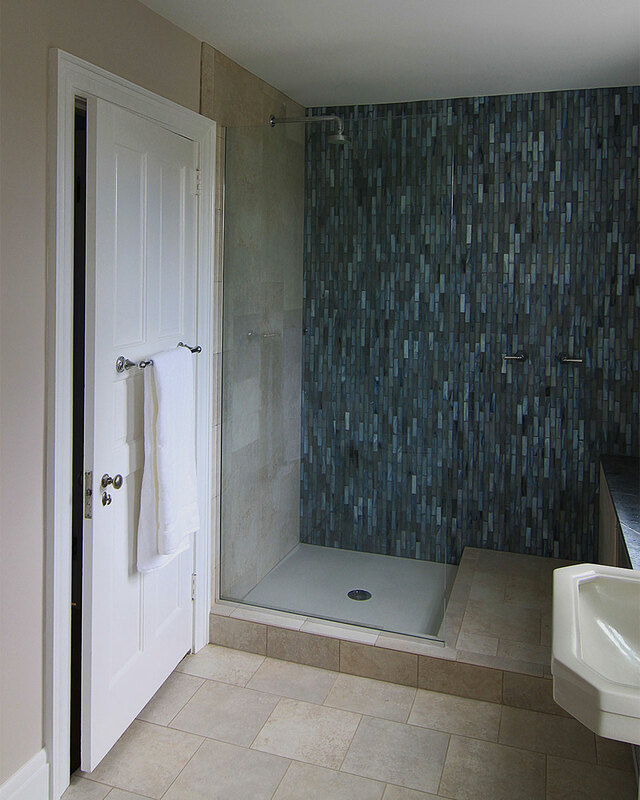 For the husband’s bathroom we took out the tub and installed a frameless glass, walk-in shower. In the wife’s bathroom we eliminated a hallway and dysfunctional closet to provide generous storage (bamboo plywood cabinet) and enough depth for a full six foot tub and shower with bi-fold frameless glass enclosure. 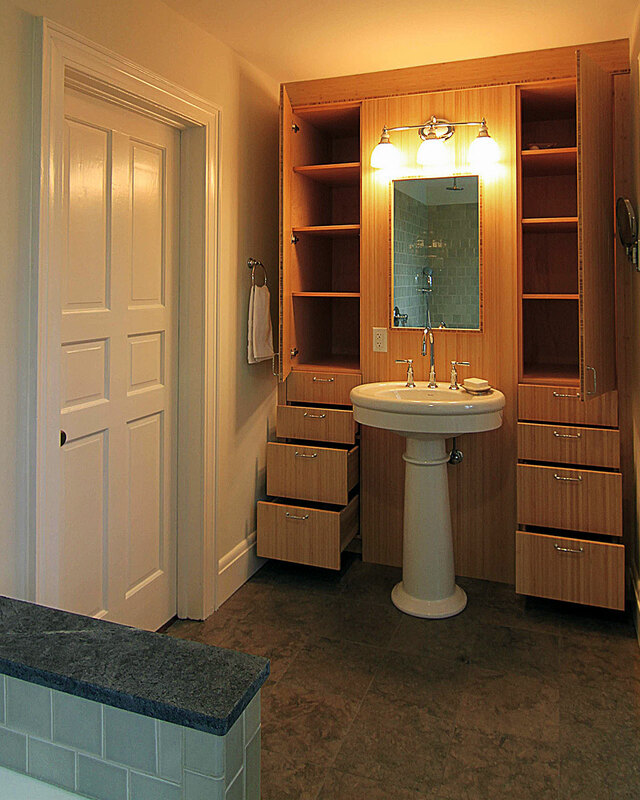 We re-used the existing pedestal sinks in both bathrooms as well as existing radiators. The soap stone slabs in both bathrooms are from the same remnant and tie the spaces together with a subtle design detail.